If you are not entirely happy with the products that you have received then you may return them to us within 1 month of receipt. We will be more than happy to offer you an exchange or, under our decision, a refund provided that the products are returned complete, in perfect condition, unused, and with the original packaging. If the product is damaged or the wrong item has been posted the cost of postage will be added to your refund, on receipt of proof of postage. Returns for any other reason is at the customers expense. Please enclose your name, address, contact details and any requirements. If a return is due to an incorrect size we will exchange for another size and post out free of charge, however if a refund is requested only the garment shall be refunded, the postage is non refundable. Stock permitting, all orders placed by mail-order or on the web are usually despatched to arrive with UK customers within 2-3 working days. In the event that an item is temporarily out of stock, we will notify you of the delay and despatch it as soon as it arrives. All dates quoted for delivery are estimated delivery dates only and may be subject to change and we can accept no liability for any loss or damage (whether direct or indirect) for delivery at any time other than the estimated date for delivery. All orders received before 12pm will, subject to availability, be despatched on the same working day. Orders received after 12pm will be despatched the next working day. Please note that working days are classed as Monday-Friday. We take every care to ensure that the description and specification of our products are correct at the time of publishing. However, while the colour reproduction of the products is a close representation, we cannot accept any responsibility for any variation in colour caused by the browser software or computer system used by you. To the fullest extent permitted by law and save as provided above, neither Wrong Johns nor any associated company shall be liable to you by reason of any representation, or any implied warranty, condition or other term, or any duty at common law, or under the express terms of the contract, or in negligence (whether on the part of Wrong Johns or any of its members, agents, directors, employees or otherwise) for any indirect special or consequential loss or damage (including but not limited to loss of profit or loss of saving), costs, expenses or other claims for compensation whatsoever which arise out of or in connection with the use of this website, the supply of the products or their use or resale by you. "The limitations of liability in these conditions shall apply equally for the benefit of Wrong Johns and any other associated company of Wrong Johns as if references to Wrong Johns included references to each such associated company." While Wrong Johns uses reasonable endeavours to ensure that the information on this website is accurate and up to date, it does not give any warranty as to its accuracy or completeness and Wrong Johns will not be responsible for any errors or omissions or for the results arising from the use of such information. While Wrong Johns takes all reasonable steps to ensure a fast and reliable service, it does not guarantee that your use of this website will be interruption or error free and will not be responsible for any disruption, loss of or corruption of any material in transit, or loss of or corruption of material or data when downloaded onto any computer system. Further, Wrong Johns will not be responsible nor liable for your use of any other websites which you may access via links within this website. Wrong Johns does not control these websites and is not responsible for their content. Any such links are provided merely as a service to users of this website and their inclusion in this website does not constitute an endorsement by or affiliation with Wrong Johns. The entire liability of Wrong Johns under or in connection with any contract for any products to which these conditions apply shall not exceed the price of the products, except as expressly provided in these conditions. 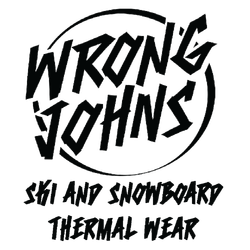 Wrong Johns will not be liable to you or be deemed to be in breach of the contract by reason of any delay in performing, or any failure to perform, any of its obligations in relation to the products ordered by you if the delay or failure was due to any cause beyond its reasonable control.